Jennifer of The Pink Pagoda is featuring pink each day during the month of October. She asked me to participate. Very fun. Please go HERE to see my post. 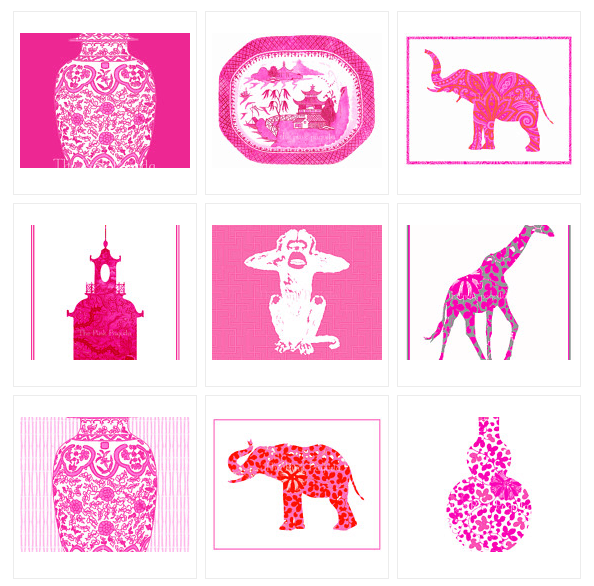 For a pop of pink in your home, Jennifer sells these giclées in her Etsy store. 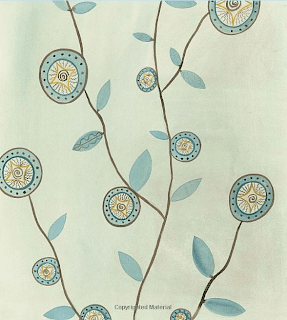 “An Eye For Design” by Allegra Hicks. 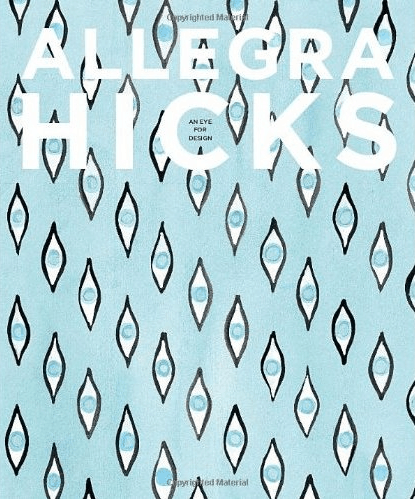 In this book, Allegra articulates where she gets the inspiration for the patterns she designs. 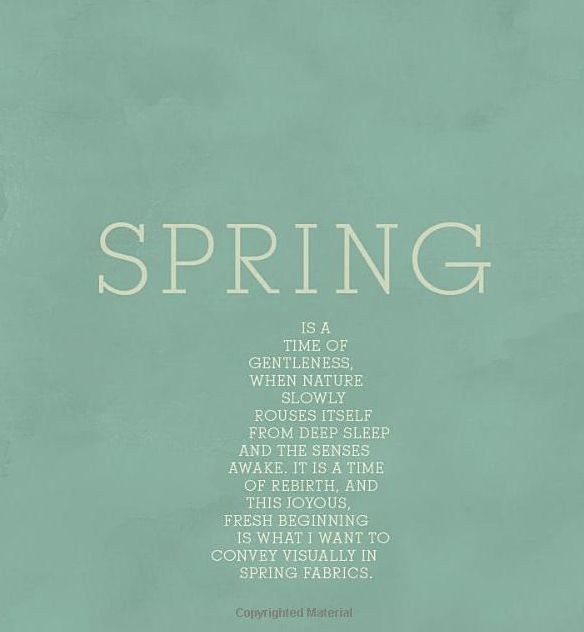 Much is from nature and the book is broken up by season. I am finding it inspirational for an obstetrician’s office that I am working on. In these offices, they want it fresh and feminine using whites, creams, greens and touches of rose. Look what my husband got for me instead of a birthday cake. Does it seem like I have been celebrating my birthday for, like, EVER? 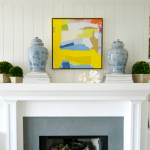 Spring Mantels and Ideas For Everyone! That's my idea of a birthday cake! I love TPP and Jennifer's blog. Belated Happy Birthday! Happy Belated Birthday Mary Ann!!! Heading to Paris this week but when I get back let's keep that party celebration going – lunch is on me!!! Happy belated birthday! LOVE your sweet tooth!Now I'm off to see your pink post! Great book "An Eye For Design" by Allegra Hicks I'll have to add that to my b-day wish list and christmas list as well. Love the yummy alternative cake idea and the great poka dot iPhone case too. Tip: Watch the pink/rose paint shades they can tend to look a little to much like flesh in an office without sunlight and when the lighting is fluorescent (look into full spectrum bulbs and tubes). Unless room color is grounded with a complementary color to offset the hue. Love the gray and carpet texture. Looks like a fun project…color is such room changer and mood enhancer. Husband should be rewarded for the perfect birthday treats…and also for following through with the cute phone cover! Love the pieces of the Dr's office project, especially the soft green tile with the pinks. Lovely birthday treat from your husband and happy belated birthday!! I have a cell phone case from The Pink Pagoda and always receive compliments on it 🙂 She has a wonderful store! I can't wait to see the Dr.'s office you design. It will be beautiful! Thank you si much for being my guest today, Mary Ann! Your daughter's bedroom is lovely! What a sweet hubby….Hope you had a wonderful birthday. My husband always teases me because my birthday celebrations go on and on… Lunch here with one girl friend and another and so on and so on… you know what I mean! I would have to slap my husband up side the head for him to get a shopping hint :). Keep celebrating that birthday girl!!! 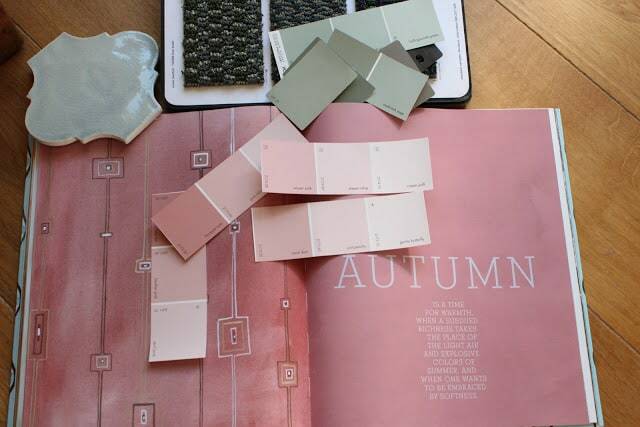 I worked on a clients apartment several years ago and she requested an all pink apartment! I mean…ALL pink! With northern light I was able to pull off great results with Farrow and Ball's Pink Ground #202 on the walls and my favorite Dimity #2008 on the trim. Upholstery? Pink! Most of the furniture was Julia Gray in shades of ivory with of course, gold touches. I have to say it worked! All women look gorgeous in blushy colors! Have fun with your new project! 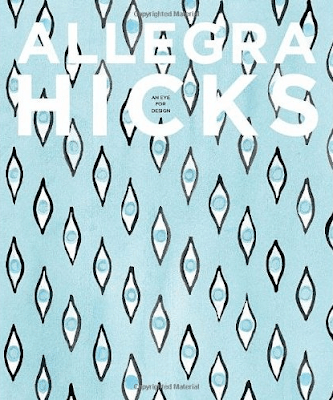 Love Allegra Hicks. Must find that book. The office colours are lovely, just the sort of thing you want to see sitting in a waiting room. I wish you could redo my OB's office, it's very drab and masculine. 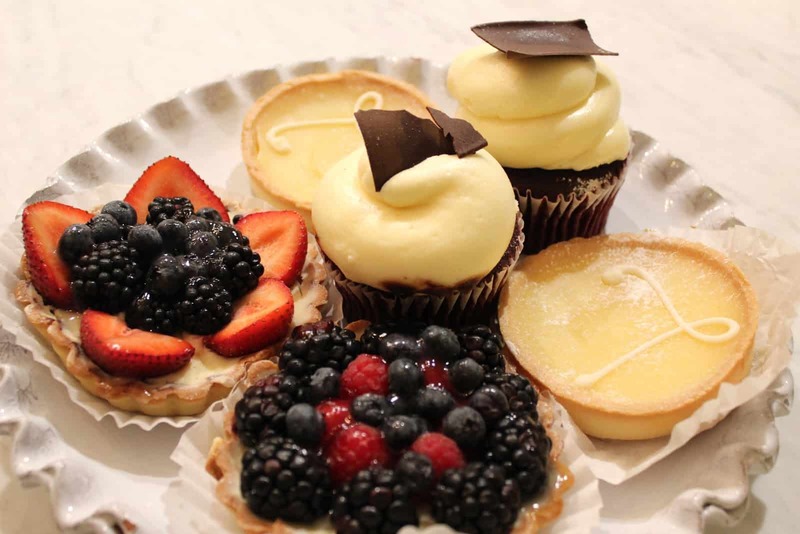 Allegra Hicks has great style…I like how your husband thinks, why one cake when you can have a bunch of minis! Don't you love those birthdays that keep on giving, espeically when its giving food and presents, lol. 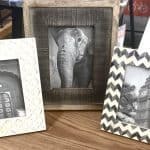 Just found your blog…what a fabulous blog it is!! I can't wait to look around. I can already see I am going to like it here, I checked out your Facebook page and love your style. Looking forward to your posts. See how smart men can be. 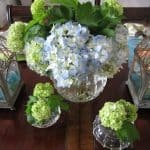 Loved your post on Jennifer's blog.